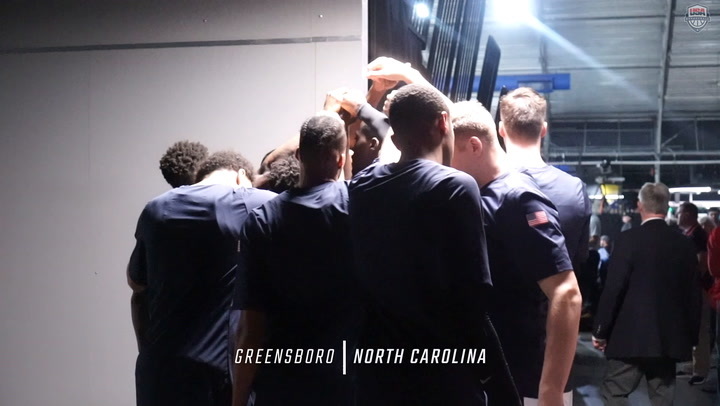 A buzzer-beating jumper from Reggie Hearn (Stockton Kings) lifted the USA Men’s World Cup Qualifying Team (10-2) past Argentina (9-3) to a hard-fought 84-83 win on Monday night at The Fieldhouse at Greensboro Coliseum Complex in Greensboro, North Carolina. 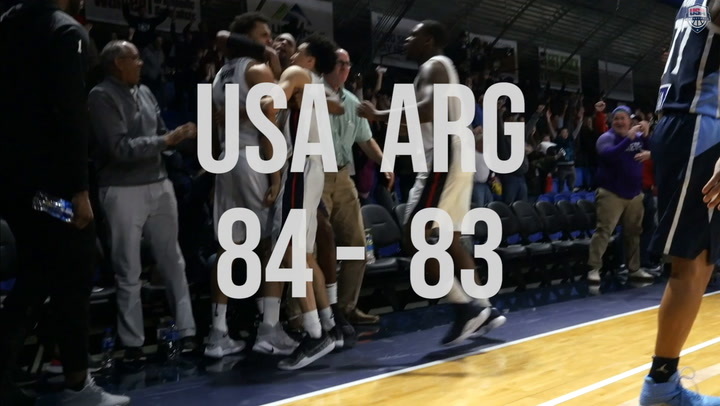 The USA and Argentina already had qualified for the 2019 FIBA World Cup, and the only thing on the line in Monday night’s final qualifying game was bragging rights for first place in Group E, which was enough to bring out the best from the both teams. “Well, the game was a high-level, intense game,” said USA head coach Jeff Van Gundy. “I have so much respect for Argentina. Their program, their depth of quality players and they just play great basketball. It was very fitting that Reggie, who has participated in the most qualifying games for us, was the one to hit the shot. I was very happy for him. 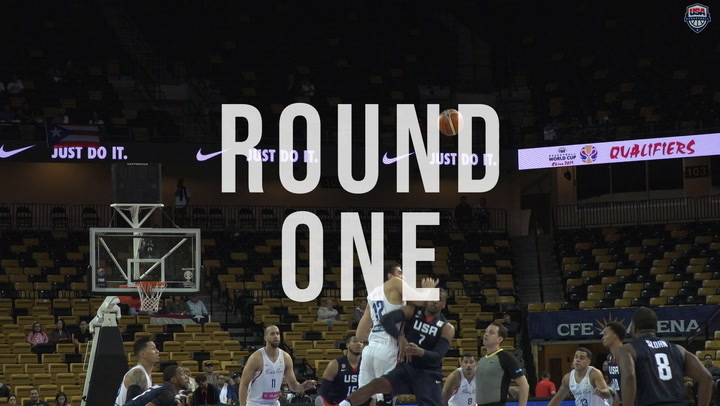 With the USA trailing by one point, 83-82, and one second on the clock, Travis Trice (Austin Spurs), who finished with six assists, inbounded the ball to Hearn, who sank a tough shot from the corner to just beat the buzzer and win the game. Up to that point, Hearn had scored two points. Michael Frazier II (Rio Grande Valley Vipers) finished with 23 points a U.S. Men’s World Cup Qualifying record five steals, and Charles Cooke (Sioux Falls Skyforce) was the only other player to reach double-digit scoring for the USA with 10 points on 5-of-6 shooting from the field. In the first period, the U.S. defense held Argentina to just 26.7 percent from the field (4-15 FGs) and closed the quarter with a 7-0 run to lead 22-14 after the first 10 minutes. The USA pushed its advantage to 12 points, 26-14, early in the second period, but Argentina put together a 9-0 run and cut it to 26-23 and then worked its way to within one point, 34-33. Much like the first quarter, the USA closed strong, and four different scorers helped compile an 8-2 run to put the USA ahead 42-35 at halftime. The U.S. pressure forced Argentina into 11 first half turnovers and 21 for the game. On the offensive side, Frazier had 12 points for the USA in the first half. Argentina struggled to find the bottom of the net the first half, but that changed in the third quarter as Argentina sank six 3-pointers and not only took its first lead but went ahead 65-59 at the end of the period. With chants of “defense” and “USA” from the crowd in the fourth quarter, the U.S. battled back from down by nine points with 8:17 remaining to tie the game at 72-72 and 75-75. 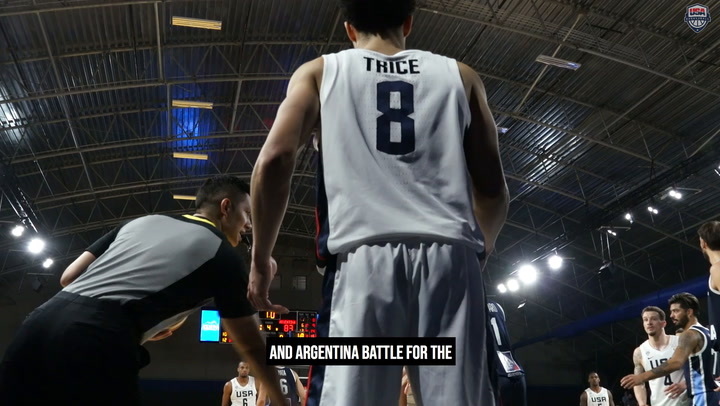 Argentina sank a 3 and added three points to lead 81-75 with 1:51 to play. 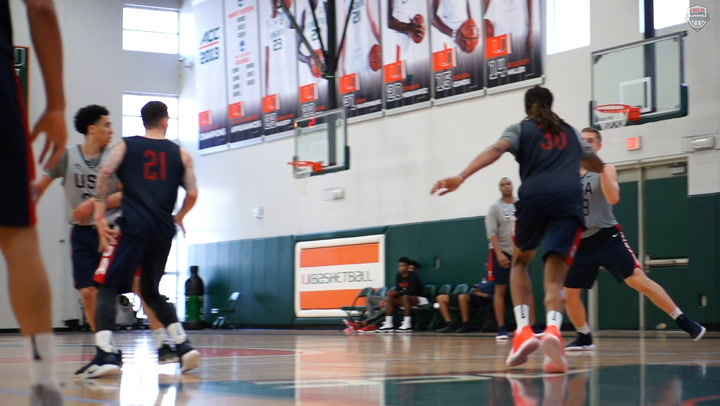 After points from each side, Frazier sank free throws and Trice connected from deep to put the USA within one point, 83-82, with 37.3 remaining. Argentina missed its next shot attempt, and the USA had 15.4 seconds. Josh Adams’ (Raptors 905) shot rimmed out, but the USA had one last possession after Argentina knocked the rebound out of bounds. With 1.0 second remaining, the USA inbounded to Hearn who sank a tough shot from the corner to give the USA the 84-83 win. Former University of Georgia head coach Mark Fox and former Georgetown University head coach John Thompson III served as USA assistant coaches. The 32-team field for the 2019 FIBA World Cup, which will be played Aug. 31-Sept. 15 in China, is set, including: Angola, Argentina, Australia, Brazil, Canada, China, Czech Republic, Dominican Republic, France, Germany, Greece, Iran, Italy, Ivory Coast, Japan, Jordan, Lithuania, Montenegro, New Zealand, Nigeria, Philippines, Poland, Puerto Rico, Russia, Senegal, Serbia, South Korea, Spain, Tunisia, Turkey, USA and Venezuela. China qualified as the host country. Fifty-four athletes suited up for USA Basketball throughout the six windows of FIBA World Cup Qualifying play.